We learned all the steps to resize an image in Photoshop. Even though the steps are pretty simple and straight-forward, it will be a daunting (or downright boring) task if we need to resize hundreds or even thousands of images at a time. 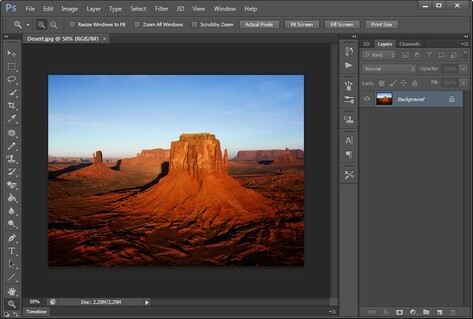 When you need to resize multiple images at once (commonly known as batch resizing), you will be glad to know that Photoshop actually has a built-in "batch automator" to automate batch resizing of images for you. It will take a little bit of work to set it up, but once it's set up, it will save you a lot of time from having to open, resize, and save each image file. 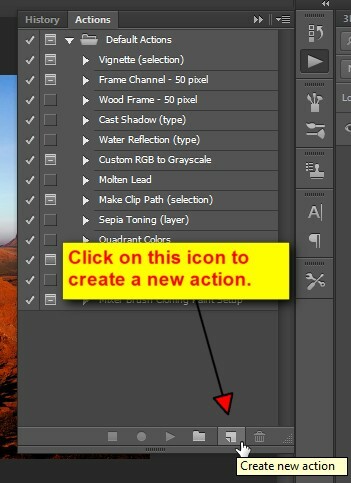 The tutorial below will walk you through the steps to "record" your resizing "action" and then automate your "action" using the batch automator. We will start by recoding the resizing steps (collectively called an "Action" in Photoshop) for one single image file. After the action has been created, we will play back the action using the batch automator later. In the New Action dialog box, give your action a name (I named it "Resize Image"). I assigned this new action under the "Default Actions" Set (a "Set" is just a way of grouping the actions). You can also assign Function Key and Color to your action (for easy access and quick identification). I left them as default since I don't have many actions to deal with right now. Click on the "Record" button to start recording your new action. Please be aware that all the activities that you perform with your mouse and keyboard are now being recorded from this point on, until you hit the Stop button. So be mindful of what you click on in Photoshop while you activities are being recorded. It is imperative that you leave the file name as it is or else your resized files will be overwriting themselves under the same file name. Before your image is saved, you will be prompted to choose your image quality. Choose the proper options and click on "OK" to save your image file. Your recording session will be stopped and you will see our Resize Image action, which comprises of Image Size, Save, and Close. After clicking on the Play icon, your image should be resized, saved, and closed. Now, go check the C:\Photos\Processed\ folder and your resized image file should be saved there. Congratulations! That means your resizing action worked and you have successfully resized and saved your image by simply clicking on the Play icon. 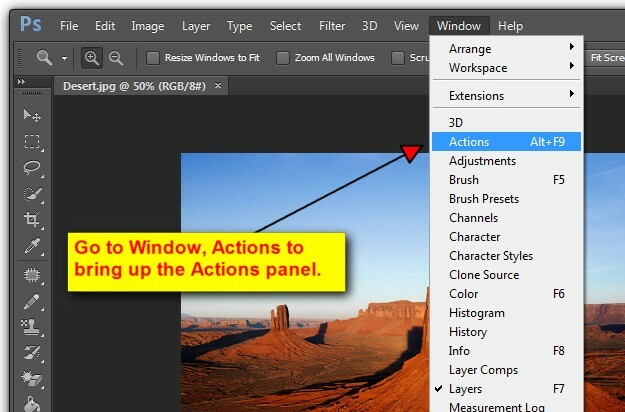 In the Play section, leave the Set as "Default Actions" and select "Resize Image" in the Action drop down list. Select "Folder" for the Source and click on the "Choose..." button to browse to C:\Photos (or wherever your pre-processed image files are located). 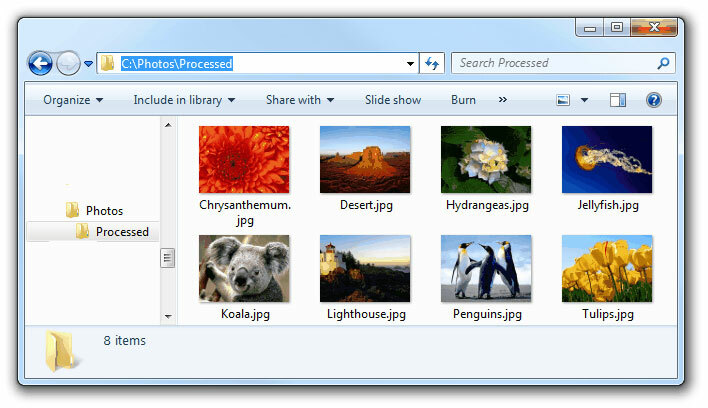 Leave the Destination as "None" since we have already built the destination folder into our Resize Image action. There are other fancy things that you can do (like formatting the output file name and extension, adding serial number to file name, specifying platform compatibility, error handling, etc). To keep it simple, we won't mess with any of the settings right now. You can play with these settings yourself once you get comfortable with the process later. If the steps above sound too complicated to set up, you might want to consider using a batch image resizer to resize the images for you. All you have to do is to specify the folder where your images are located, provide resizing settings (by pixels or by percent), and click on a button to start the resizing process. There's no need to use Photoshop to record any actions.